Microsoft is out to release faster, better, and stronger devices to please its millions of devoted users. Released last October 2015, the Surface Book upped the ante for future super computers. With the successful release of its predecessor, users are anticipating the debut of Surface Book 2. There is no official statement yet that a Surface Book 2 is in the works. Knowing that Apple released a new MacBook Pro this year, there are rumors circulating that the Surface Book 2 will be built to compete with Apple's next laptop. The Bit Bag outlined some of the specifications that a Surface Book 2 will need to have in order to compete with the MacBook Pro. 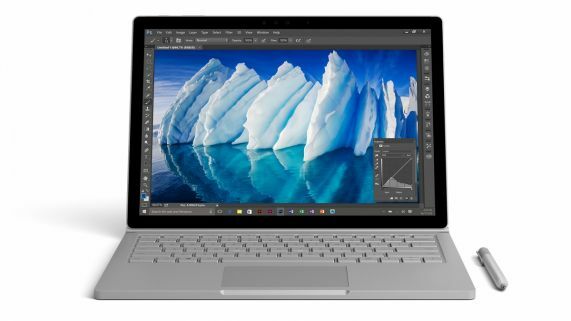 The Surface Book 2 is rumored to contain the next generation Intel Kaby Lake chipsets. A good move for Microsoft if the rumors are true, due to its faster and better graphics reviews compared to MacBook Pro's Skylake chipsets. Intel's Kaby Lake chipsets are known for its incredible graphics and system performance. The processor boasts of 14-nanometer chips, which means smaller but faster. The device offers Thunderbolt 3 and universal serial bus (USB) 3.1 Type-C support. Microsoft Surface Book's dynamic fulcrum hinge is not a user-favorite, and tech analysts are looking into an improved version of this feature in the next Surface Book. Since the hinge needs electricity to work, future problems may arise. With these reviews, Microsoft might consider another way to unhook the tablet. TechRadar anticipates that better chipsets may mean a nicer and higher definition screen will be infused in Surface Book 2. A 4K resolution may be in the works due to the stronger graphics architecture Kaby Lake chipsets are known for. 4K resolution boasts of 3,840 pixels ultra high definition technology. Higher graphics and faster processors may drain the battery faster, that's why it is anticipated that the next Surface Book will be packed with more power.